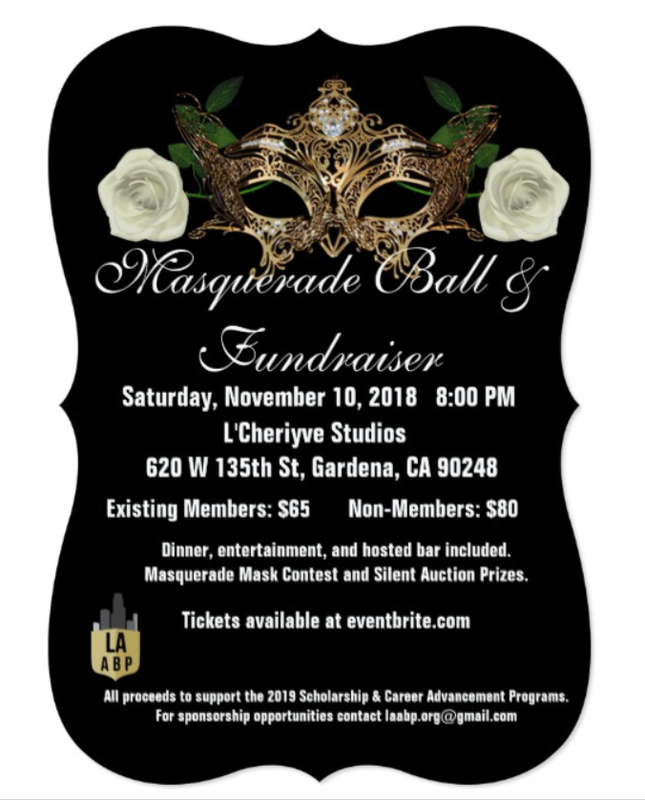 On Saturday, November 10, 2018 the Los Angeles Association of Black Personnel (LAABP) will be hosting a Masquerade Ball and Scholarship Fundraiser at L’Cherivye Studios to raise funds for the 2019 LAABP Scholarship Program. Existing Members use code: LAABP2018 until October 20, 2018 for special Early Bird Pricing. For more information about volunteer opportunities please submit your inquiry by CLICK HERE. For information regarding donation and sponsorship opportunities can be found here: 2018 Sponsorship Packet. To submit a donation/sponsorship inquiry and be contacted by a committee member CLICK HERE .